ICON is about connection. It’s about the experiences we can create to impact those around us. We believe there is strength in unity and that we as individuals and organizations truly grow our community from the relationships we build. Through this notion we take great pride in our work and look forward to connecting people, businesses, and organizations with ICON Digital Networks by helping the community to grow. Our passion for human empowerment is translated in our daily life. I work with people and organizations all over the world building their strengths, acknowledging weaknesses, and bridging their passions with their daily actions. ICON invites you to join our team in showing how it is certainly possible and how together we can add to the creation of the community with win-win situations in our neighborhoods, in the country, and ultimately all over the world. We are a passionate group of innovators who have teamed up to provide a solution to a very profitable problem, capitalizing on an untapped market and revolutionizing the Out-of-Home (OOH) advertising industry. ICON DIGITAL NETWORKS provides dynamic marketing solutions to the fast growing OOH advertising sector not only for free to venues, but with exciting revenue sharing bonuses! We are partnered to work with a 34 year old manufacturer, installer, ad revenue company on $150 million in commitments and $50 million contracted generating vast revenues. Our partners are positioned to exclusively host Olympic Beach Games, backed by the Olympic Committees, and to bring A list celebrities to concert through ICON Digital Networks with live events generating vast revenues, from the advertising, merchandising, sponsorships, and ticket sales. We welcome you to join us at ICON Digital Networks: Changing the way of the world by the people and for the people. The WhitePaper contains valuable information to give you a clear understanding of our Cryptos, you hereby acknowledge that by purchasing the space token you are an accredited investor. With your registration you acknowledge that you are an accredited investor, when purchasing the Space Security Token. Acquiring Space and Time Tokens can be made through, Ethereum, Bitcoin or Litecoin or Wire Trasfer. Purchasing our tokens allows substantial discounts during our pre-launch, Phase 1 and 2. An ICO is an Initial Coin Offering which is conducted through Smart Contracts and Blockchain technology. Wallets are apps like ran on a smartphone or computer. Bitcoin was the first wallet protocol in 2009. Either one or many Crypto's can be stored on a wallet. No matter how you acquire crypto, at a currency exchange, as a gift or as revenue, your wallet has a cryptographic address it is sent to. You might picture this in the same way as files are stored on a USB drive. The public ledger records and authenticates all transactions for a cryptocurrency. The wallet makes spending easy, scanning a retailer’s QR code or directing an amount to the retailer’s public address. We’re synchronizing the super powerful advertising establishment with the cutting edge of innovative tech to upgrade a drastically underutilized digital outdoor market. Of all Out-Of-Home (OOH) advertising media, only about 1% of the multi BILLION $$$ industry is digitized. There is a huge demand and a rapidly growing global market for outdoor digital advertising. We have the technology, business model, and connections to take advantage of this vast, almost untapped market. Of all Out-Of-Home advertising media, only about 1% of the multi BILLION $$$ industry is digitized. Of over 350K billboards in the US alone, only about 8K are digitized. A meager 4% of 100K pieces of advertised street furniture are digitized. Millions of people use and see transit services every day, but only a tiny fraction of them are digitized. We provide solutions to change the entire industry! We are aligning the best of blockchain tech, banking infrastructure, government backing, marketing superpowers, and industry icons. •	Public transportation and MORE! With state-of-the-art digital asset advantages! Why do we integrate digital assets in our project? Digital assets instantaneously bypass international borders, giving us easy access to the world economy. We’re solving the common problems of traditional banking: slow transactions, high fees, difficulty of international currency exchange, and bureaucratic red tape. We get all the benefits of blockchain: decentralized, transparent, immutable, distributed accounting with direct peer-to-peer transactions. Digital assets can be exchanged worldwide, instantaneously, with extremely low fees - instead of having to wait for approval from bank to bank, without having to pay the exchange rate from one currency to another! Digital assets are exciting, but they are not without their problems. Digital assets are generally not supported by governments and traditional investors, and companies are reluctant to touch things that are unregulated for fear of backlash. We’re combining the best of both worlds to solve problems from both sectors while harnessing their benefits. Through our agreements with Speedy Pay, Union Bank, and Security Bank, our users can exchange fiat for crypto and crypto for fiat with the safety and security of government and central bank backing! Including some of the BIGGEST malls in the Philippines - Ayala Shopping Malls The Maritime School Exclusive contracts with toll roads Rail systems with TENS OF THOUSANDS of passengers per day! Some of the largest screens in SE Asia Over 300'! PLUS we already have long established relationships and campaigns from the world’s leading advertisers including Nike & Coca-Cola to fill our screens! We have been very conservative in the layout of our road map. PHASE 1 TIME TOKEN OFFERING last part of Q4 2018. Space Security Token beginning of Q1 2019 to be the first launched on a Singapore Exchange. MANUFACTURE LED Screens & Digital Displays for installations and ad revenue generation on multi-million dollars worth of secured venues through our contracts. Begin installations of LED Screens and Digital Displays against our contracts & secured venues. Expand our revenue model, Hosting of the first Olympic Beach Games in San Diego, California. Continued partnerships with celebrity entertainment, world class hologram technology, exclusive TV shows, and backing from the Olympic Committee for the Olympic Beach Games. These partnerships truly make ICON DIGITAL NETWORKS remarkable and iconic in every sense of the word! We are very proud to announce that Virtual Growth has joined the ICON Team. Our team consist of a number of entrepreneurs, innovators and technical parties that bring a whole new meaning to blockchain. Founder of ICON Digital Networks, Oversees Consultant. Johnny can best be described from his nearly 4 decades of overseas experience. Johnny Lee Ruston is an accomplished, highly trained, and extremely capable man. Having worked with high level government officials. He has been responsible for the prevention of deaths on a mass scale, recovering assets, training, and other special operations. He is very passionate about preservations of our environments, involved in humanitarian projects with global impact and remains dedicated to easing pain and suffering through natural means as quickly as possible. As the founder of ICON Digital Networks I take pride in knowing that I have assembled a team from a group of unique individuals that places nothing above honor and integrity. We are here to serve our Time and Space Token holders and welcome you to be a part of this truly Iconic Network. Barry McCullers is a Advisor, and is very driven to complete any task with great success. Through Solution minded philosophies he has developed unique skillsets over his 3 decades of business which enhances his ability to spherically find solutions to complex problems. Barry has obtained series 7 & 63 Licenses through the SEC, NYSE & Chicago Board of Mercantile, earning him a position at the prestigious AG Edwards & Sons. He ran the Jumbo Loan Division of Kennedy Mortgage, originating loans in the $1-20 Million loan sector. Barry attained a Universal Life & Health Insurance License with the State of Nevada, and became an Accredited Asset Management Specialist through the College of Finance in Bolder Colorado. He has appeared on The Late Show / Craig Ferguson, Tonight Show / Jay Leno, The Man Show / Jimmy Kimmel & Adam Carrola on Comedy Central as well as 63 Episodes of Card Sharks on the Game Show Network as a Hidden Camera Actor. IT Professional, Developer on Smart Contracts and Blockchain Technology, Co-Founder and Advisor. Jake Topanian is a specialist when it comes to Internet Security, building out specialized systems which supports hospitals, government and many other industrial area's. Mr. Topanian has worked very diligently to ensure that ICON Digital Networks Token Contracts are ERC20 Compliant and in building out all security software and programming for our business. Jake Topanian will be heading up Developers team who will be writing out our own source codes in the future to build out our own Blockchain. We aress mode honored to work with Mr. Topanian. Co-Founder and President of a Bank, which ICON has partnered with. This Bank is Central Bank Approved and has just become nationally accredited and is licensed through the Central Bank to conduct all banking activities, including Crypto Currency. Dr. Ramos, is very accomplished and has held numerous official positions with the government. She has fought for the people of the Philippines and has issued the very first Credit/Debit card with zero government fees being charged to the poor people in the country. This Card is able to be tied to virtually any digital asset wallets and used accordingly. Dr. Ramos is a humanitarian in every sense of the word and has helped countless under-privileged throughout her lifetime. We are honored to have Dr. Marichi Ramos as the CEO of ICON Digital Networks. Virtual Growth is a pioneer in tokenized economies, He is a decentralization icon and advisor. With an undeniable faith in the tokenized economy and the trustless consensus of a global people, Virtual Growth moves forward the torch of its ethos. the most unique and innovative ICO ever seen to the blockchain world. ICON Digital Networks, appears to be setting new parameters which is going to make the blockchain world very user friendly. It is amazing that have have been able to team up with a nationally accredited bank. I am very excited about the fact they have teamed up with the National Olympic Committee and will be putting on Olympic Beach Games. Great Work! We look forward to participating and seeing these events unfold. We are very excited about Icon Digital Networks and their ICO. This is an unprecedented event having an ICO Team up with a Central Bank Approved Bank which has special licensing for Crypto Currency. The ability to have a Crypto Debit/Credit card in your actual wallet which represents your e-wallet is phenomenal. We want to congratulate the founder and his team for everything which they are creating. Dealing Pier to Pier with a decentralized system is incredible. Some of these systems have been slow at best, however it looks like ICON is onto something which is going to improve the blockchain world dramatically. With a nationally accredited bank partnered with ICON Multi-Millions in secured contracts, the world of entertainment with A list artist, and Olympic Beach Games, this will be a win win for everyone. 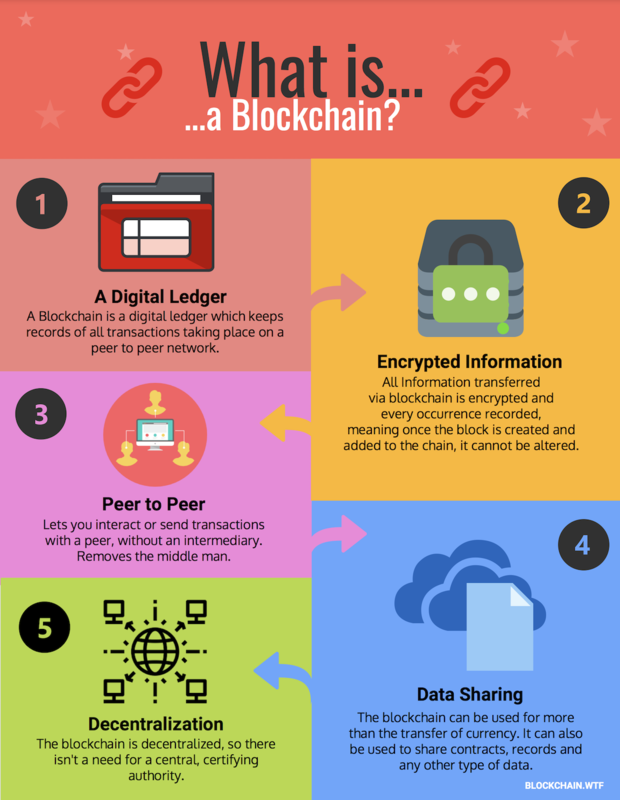 Blockchain is a decentralized ledger that reports all transactions yet is view-able by the public. The transaction is permanently recorded to the blockchain and cannot be changed by anybody. Blockchains are a safe and secure way to conduct transactions on a global scale on a pier to pier level. What is unique about ICON? We have secured $50 Million in contracts for LED & Digital Advertisements, this includes manufacturing, installations, add content, and revenue sharing on the ads. What sectors is ICON involved with? We are involved heavily in advertisement revenues and partnered up with a 34 year advertisement company. In addition another of our founding members is approved by the Olympic Committees, to put on Olympic Beach Games the first one taking place in Q4 of 2019 in San Diego, Revenues will be tremendous from these olympic games which ICON Space token holders may share in the revenues. Revenues are generated through sponsorships, and advertisements which are expected to be phenomenal. Last but not least we have the ability to put on A list concerts from world renowned celebrities, with 20% take on the concert plus, advertisements, sponsorship and merchandising revenues. What is the Space Token? Unlike many Cryptos which are started on idea's or a concept to change something, ICON Digital Networks has secured live contracts in the area's of advertisement from manufacturing of the LED or Digital Screens installations, maintainance, to Ad revenue sharing. Our Founder & Co-Founders have secured Olympic Committee approval to head the first ever Olympic Beach Game on a global scale. Additinoally we will be putting on live concerts, like never before where everyday citizens with Time / Space Tokens Holders can participate in funding the concerts, with many benefits. Will ICON Digital Networks Expand? Because our Blockchain is based on making real changes with real business, we are virtually unlimited with our global connection on numerous area's we may expand to in the future. Imagine being able to tell your friends that you helped fund an A list concert tour. Time Tokens allows you to do that. Or being able to say you helped fund a concert or an olympic game and you receive quaterly revenue shares in profits, Space tokens allows you to participate in net rev. shares. and you can continue participating as long as you own your Space tokens. What is ICON's Main Focus? ICONS main focus is securing funding to start fulfilling our existing orders In the LED and Digital display business which will start generating revenues within 4 to 6 months of funding completion. Subscribe Now and be kept up to date on our iconic movements in changing the world of digital assets, entertainment & sports to a more stable and user friendly environment.